Friday, 1JUN saw the launch of the first scheduled flight between Montreal and Japan, with year-round flying to follow aboard Air Canada’s flagship aircraft, the Boeing 787 Drealiner. Service will be daily during summer peak travel and three times a week during the winter. A busy weekend for AC at YUL continued on Sunday, 3JUN, when the airline launched non-stop service between Montreal and Dublin. Flights will be operated until 12OCT, 2018, using Air Canada's newest single-aisle aircraft, the Boeing 737 MAX 8. 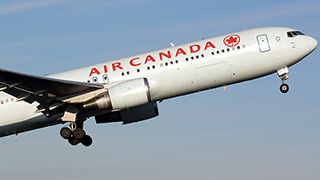 "The launch of Montreal's first scheduled link to Japan will also offer travellers from Atlantic Canada and the Northeastern U.S. convenient access to Japan and beyond, complementing our existing Tokyo flights from Toronto, Vancouver and Calgary, while also strategically positioning Air Canada as a leader in the growing Montreal–Asia market,” said Mark Galardo, Vice president, Network Planning at Air Canada. “This further reflects Air Canada's commitment to support the local business and tourism community through its ongoing international growth strategy from Montreal, following the introduction of non-stop flights to Shanghai, Lima, Algiers and upcoming launches to Dublin, Bucharest and Lisbon." Meanwhile, the new Dublin service expands AC’s links from Canada to the Emerald Isle. “Capitalizing on the growing traffic between Canada and Ireland, we are pleased to inaugurate Montreal-Dublin flights," said Benjamin Smith, President Passenger Airlines. "Air Canada will offer the best market coverage of any carrier between Canada and Ireland with service between three Canadian hubs and two Irish destinations. This includes new Toronto-Shannon flights, up to daily non-stop Toronto-Dublin service, as well as seasonal non-stop Vancouver-Dublin service." Dana Welch, Tourism Ireland's Manager in Canada, said: "We are excited about the launch of the new Air Canada route between Montreal and Dublin. Tourism Ireland looks forward to continuing to work closely with Air Canada and the Dublin airport to support demand for this route. 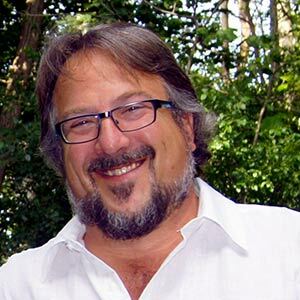 As an island destination, the importance of convenient, direct, non-stop flights cannot be overstated – they are absolutely critical to achieving growth in inbound tourism."